Daniel G. Cedarbaum is the Executive Director and President of The Mordecai M. Kaplan Center for Jewish Peoplehood. Dan became the Director of Movement Growth Initiatives and Special Projects of the Jewish Reconstructionist Federation (JRF) in September 2008, having previously served for almost 20 years as a member of JRF’s Board of Directors. He was also the JRF’s Acting Director of Individual Giving and staffed the JRF’s Chicago-area office. Dan worked professionally for the JRF through November 2010, when he left to start the Kaplan Center, together with Mel Scult, Eric Caplan and Jack Wolofsky. From 2002-2006, Dan was the President of the JRF, and a member of the Conference of Presidents of Major American Jewish Organizations. In addition, Dan has served as a member of the Board of Governors of the Reconstructionist Rabbinical College and as a member of the Executive Committee and the Board of Trustees of the United Jewish Communities. Dan has also been a member of the Board of Directors of the National Council of Synagogues, which is perhaps the leading national Jewish organization working in the area of interfaith dialogue and programming. אברהם היימאן חרלאפ, Abraham Hyman (Ḥayyim) Charlap (1862-1916) was a Jewish writer, scholar, educator, and translator active in the United States at the turn of the 20th century. Near the end of his life, he arranged new siddurim, the Sidur Tifʼeret Yehudah (1912) and Siddur Sfath Emeth Hechodosh (1916), collaborated on a scholarly dictionary with Alexander Harkavy (1911, 1914), translated the Tanakh into Yiddish with Simon Avseyewitz Neuhausen and Meir Letteris (1912), and created educational resources for younger students with Jakob Phillips (1911). After he died, his name was remembered for a blessing in haggadot, siddurim, and other works published posthumously by the Hebrew Publishing Company. Jacob Chatinover is a Jewish environmental educator. Rabbi Yehonatan Chipman is a Jerusalem-based translator and scholar of Jewish texts who has for years been writing a weekly commentary on the Torah portion published on his blog, Hitzei Yehonatan. He is a contributor to the book, Jewish Mysticism and the Spiritual Life: Classical Texts, Contemporary Reflections (2013). In 2000, Rabbi Chipman gave smiḥa to Rabbi Evelyn Goodman-Thau, the first female rabbi of Austria. Rabbi Cantor Hillary Chorny completed her cantorial investiture, rabbinical ordination, and a Masterʼs degree in Sacred Music at the Jewish Theological Seminary before joining the staff of Temple Beth Am in August, 2014. Raised in San Diego, CA, she grew up with a deep attachment to the Conservative Jewish community. In 2008, Hillary graduated American University in Washington, D.C. with a B.A. in Jewish studies and a minor in vocal jazz performance. After working as a Judaics instructor and music director in various Jewish communities and camps, Hillary pursued her dream of becoming a cantor. In time, she was inspired by her teachers and family to also pursue the rabbinate. She and her husband, Rabbi Daniel Chorny, met in Israel, and continue to enjoy learning together. Daniel Chorny is a rabbi and Jewish educator at Louis B. Silver Religious School in Pasadena, California. 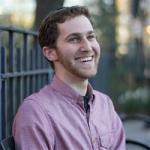 In 2014, he was ordained at the Jewish Theological Seminary of America. Danny graduated from the Wharton Business School at the University of Pennsylvania, where he began to connect with peers confused about their true direction and disconnected from the inner compass of their emotional and spiritual lives. He realized a calling in meeting people in their place of searching, struggling, and reckoning, helping them find their way to a life of radiance, soulfulness, emotional balance, and relational intimacy. In the years hence, he made it his life's work to walk that path and know it well, finding his own way from depression to a life of heartful presence and well-being, and leading to an exploration of a wide range of fields and intensive meditation and spiritual practice. 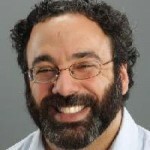 In addition, Danny pursued study of Torah and wisdom in a variety of yeshivot and institutions in Israel, the U.S., India, Nepal, and Mexico, as well as through the modem worlds of psychology/psychotherapy and transformative change work, and grounded in daily practice of meditation, prayer, and regular intensive retreat. The founding director of Or HaLev Center for Jewish Spirituality and Meditation, Danny now devotes himself to teaching, a role he is delighted and privileged to fulfill. He is profoundly grateful to live a life colored by deep listening, heartfulness, cunosity, humor, and love of people. He teaches meditation, NVC, and works one-on-one with people seeking healing and transformation. 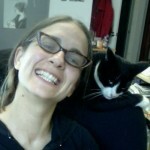 Emmy Cohen studies Religion at American University and is interested in women's roles in religion. Emmy grapples with defining the word "holy." Rabbi Dovid M. Cohen is the Director of Community Engagement, Strategy and Development for YACHAD, a flagship program of the Orthodox Union (OU) dedicated to addressing the needs of Jewish individuals with disabilities and ensuring their inclusion in every aspect of Jewish life. He is also the Rabbi of Congregation Ohr Torah in North Woodmere, NY. Rabbi Cohen is a Dayan for the Beis Din of America. He maintains a private counseling practice guiding people with relationship issues. He previously served as the Rabbi of the Young Israel of the West Side from 2006 until 2015. He spent five years in Fair Lawn, NJ as assistant to Rabbi Benjamin Yudin at Shomrei Torah. Rabbi Cohen served a Mashgiach Ruchani at Yeshiva University and Stern College for Women and also directed the Honors Program at the Lander College for Women. 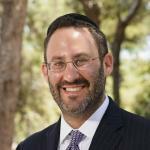 Rabbi Cohen received his BA from Yeshiva University in 1994, graduating with honors in History. He was ordained by the Rabbi Isaac Elchanon Theological Seminary (RIETS) in 1997 and obtained a law degree from Columbia Law School in 1999 and a Masters in counseling from University of North Texas in 2007.